The wonderful world of MIDI has greatly enhanced music production. MIDI dates all the way back to the 1980s, to the heydays of original digital and electronic music! Nowadays, it helps us connect a huge variety of devices like keyboards and even DJ controllers to computers and laptops. 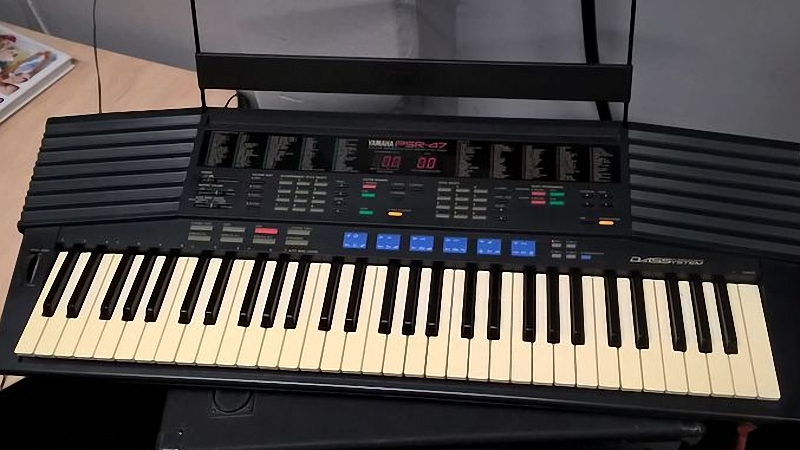 Do you remember that 80s, 90s or early 2000s digital keyboard you have lying around? You can actually convert that to a MIDI device connectable to a PC via USB! Read on to find out how! MIDI stands for Musical Instrument Digital Interface. It’s a file protocol – it doesn’t actually transmit audio, it simply carries its code between the devices that can interpret it. MIDI is strange because we might also think of it as blocks or notes on a piano roll. These blocks ‘tell’ a MIDI software instrument what sounds to trigger. A MIDI keyboard is simply an extension of this. It sends MIDI instructions to a computer which then routes them through a piano roll to the software instrument. MIDI keyboards are absolutely crucial for modern producers. If you don’t own a USB MIDI keyboard but you do own an older digital keyboard then you can still connect it to your PC’s USB port using a handy MIDI to USB cable. This short guide will explain how. Fairly recently, most MIDI devices have converted their outputs to USB. Remember the old MIDI ports? Well, even if you don’t have anything you can use with these older MIDI ports anymore, you can actually convert any MIDI device with these ports to one which is USB compatible! So to summarise, you can effectively ‘convert’ your older MIDI devices to those which are USB compatible. You can connect an older MIDI device straight to your PC, meaning you don’t need an interface that can receive MIDI cables! You can revitalize older full-scale keyboards for use with modern equipment. This saves a lot of money – you won’t need to buy a full-scale modern USB keyboard. With low latency cables, you should get the same performance as a modern USB MIDI keyboard. There are tons of digital pianos, keyboards and other devices with MIDI ports on the back. You might be surprised to find that even your 80s keyboard does too! This cable connects to that old style MIDI port and converts the signal for output to a computer via USB. 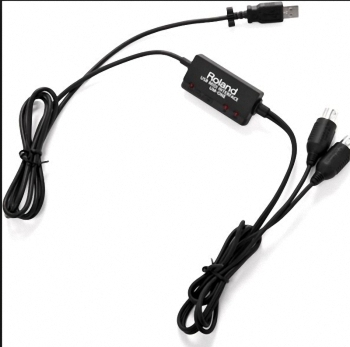 There are some cheap adapter cables available for around $10 like the TIE Studio USB Midi Cable Adapter but you may wish to opt for a more expensive one like the Roland UM-ONE mk2 which will improve latency. 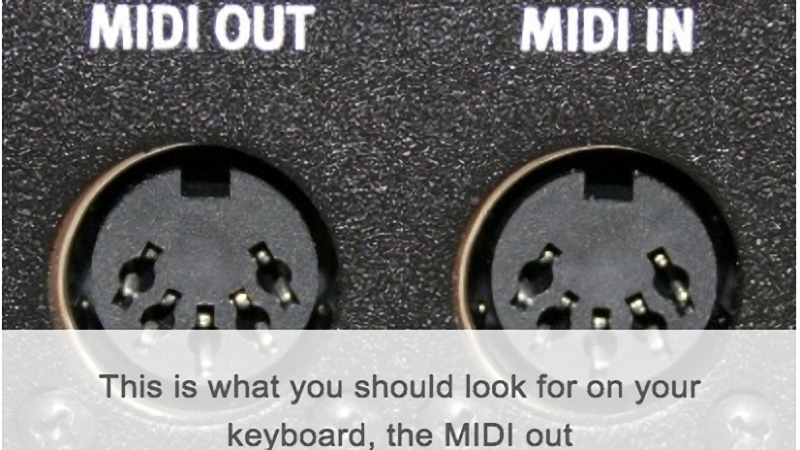 As explained, MIDI ports are pretty redundant as they’ve been largely replaced by USB. If you have older MIDI ports, you’re good to go – plug in your MIDI to USB adapter cable. Plug the USB end into your PC. On the adapter, there will be an LED light you can use to check your signal when you press the piano keys. If you’re getting signal, everything should run smoothly! Your MIDI device should install on your PC automatically. The old MIDI port on your keyboard acts identically to a USB port on a new one, so you won’t have to map everything yourself, it should just work! Load up a MIDI instrument and try. If all is well, you’ve transformed that old school digital keyboard into a fully functional MIDI device. Converting an older MIDI device into one which is USB compatible is very simple. Handy adapter cables simply plug into both the device via the old MIDI port and your PC via newer USB. This will save you money if you already own an older keyboard as you don’t need to purchase a second device. If you’re wondering whether your keyboard’s other functions will auto-map then this will depend on your DAW. Some of them may, it just depends on how the keyboard was designed to transmit MIDI. If you’re just looking to map basic functions like pitch-bend and mod-wheel then this shouldn’t be a problem but mapping the various rotary knobs and faders may be tricky. However, most of us are just looking to input notes and this should be perfectly fine with minimal tweaking.